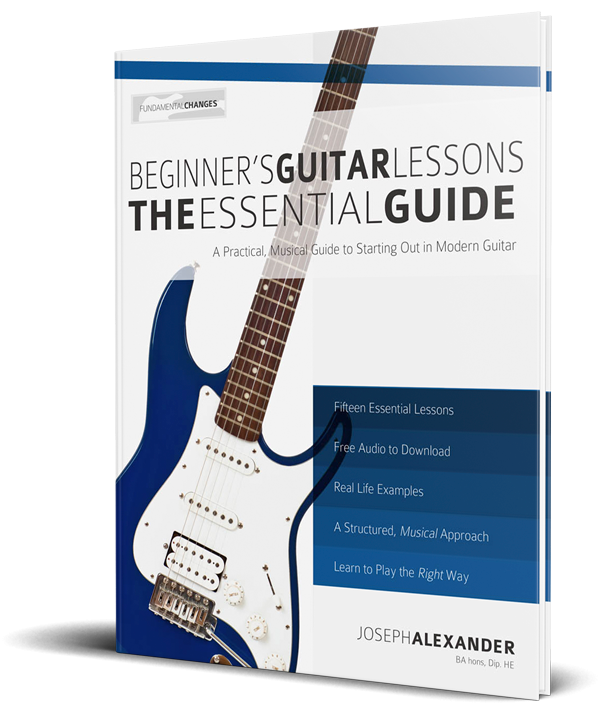 Beginner’s Guitar Lessons: The Essential Guide, teaches you to play the right way from the first time you pick up the instrument. 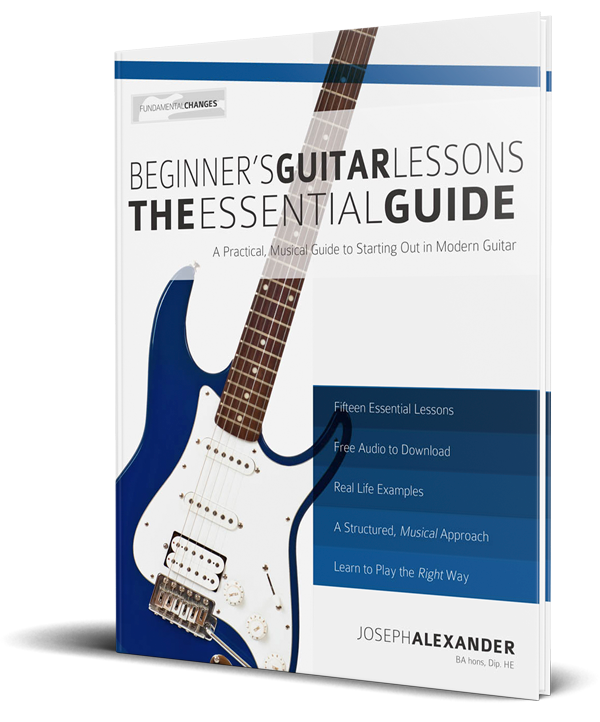 There are many common mistakes that beginner guitarists make that limit musical develop over a lifetime. 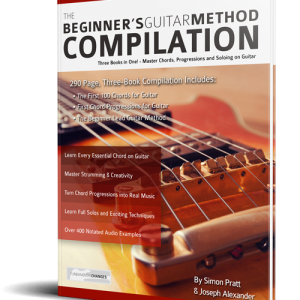 Beginner’s Guitar: The Complete Guide forms a foundation of effortless good technique and skills that will last a lifetime. As a guitar teacher, time and time again I see adult guitarists who have come to a road block in their playing. It may be speed, changing chords, rhythm, or many other obstacles that were created when they first started learning. Most often, the student doesn’t even know what the problem is, or why it’s occurring. 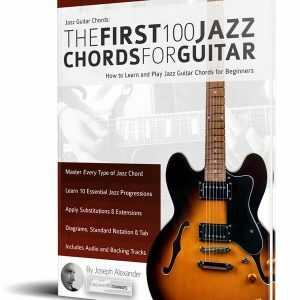 Complete Method to Learn Chords and Smoothly Change Between them. 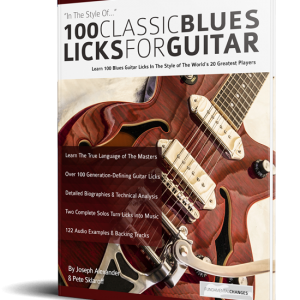 Get off on the right foot with this fun, comprehensive beginner’s guide to guitar. 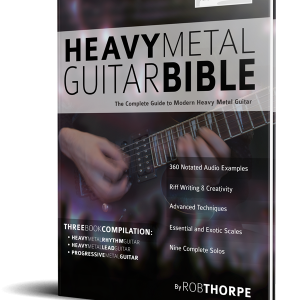 Click to buy it now and there’s free delivery with Amazon Prime.